What can you take as trade in? We accept only officially licensed merchandise and it must be in good working condition. 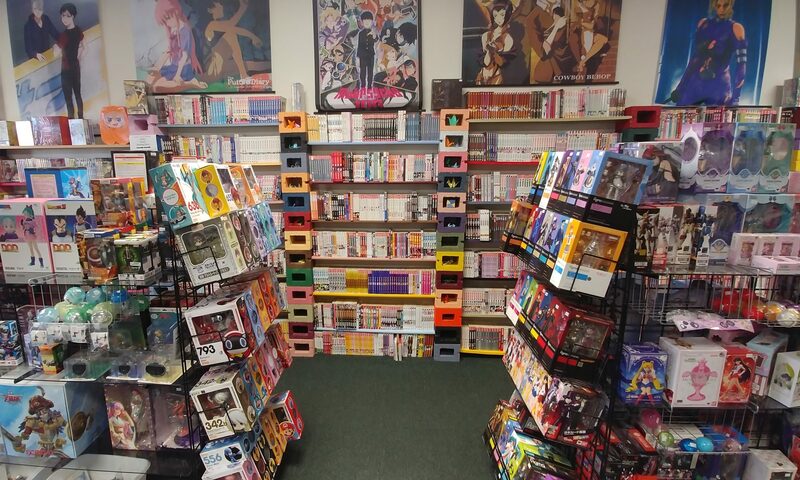 We take new and used Anime DVD/Blu-ray, Manga and related books, Anime figures, Wallscrolls, Cosplay (except wigs), and other anime related items at our discretion. We also accept Japanese Plushies only in new condition with tag. We do not pay for Magazines, foreign language manga and used plushies but will accept them on donation. What do I need to make a trade in? You will need a valid ID. (We accept military IDs). First time trade-ins will also need to make a customer profile with us. We recommend you call ahead to make sure we can accept your trade-in, especially if you don’t have much time to wait or are traveling a long distance. When can I bring in my stuff to trade? Trade-ins must be brought in between 10am-6pm on days that we are open. Depending on the volume of customers we have there may be wait time to look at your stuff. Large trade-ins need to call ahead and make an appointment. We may ask that you come back another time or turn away your stuff completely for any reason. We cannot do trade-ins during events. We must see items in person to tell you what we can give. We will offer a store credit amount for usually around half of what we will sell it for. However, this amount will be affected by its condition, rarity, supply, and demand. We can give you a cash amount equal to half of what we offer in store credit. If the cash amount reaches $100 or more, the owner will have to write you a check. Trade-ins that require a check must have a call ahead appointment to insure that the owner will be in.